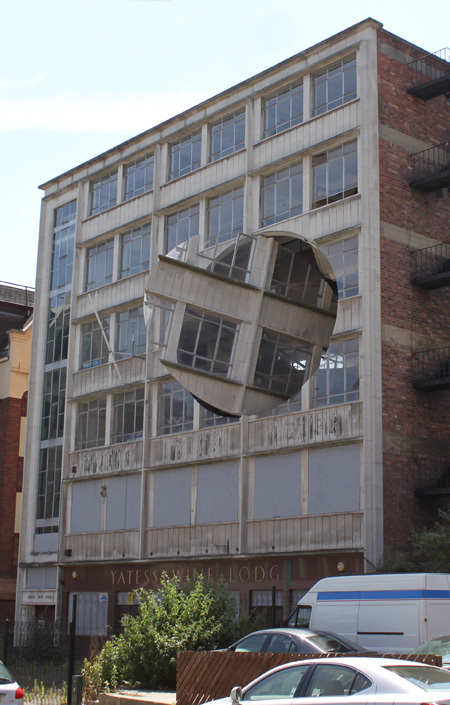 Richard Wilson art installation has turned the derelict (and architecturally boring) Yates’ Wine Lodge Building into an eye catching piece of artwork on a quiet road in Liverpool. The oval section of the building rotates and while on line videos can give you a feel for it the scale of it is far more impressive in person. Originally set to run from 2007 to the end of 2008 its still going. 50-60's have individualual names . and Dale Street in the 70's..